Do you want to start a professional WordPress blog like this? 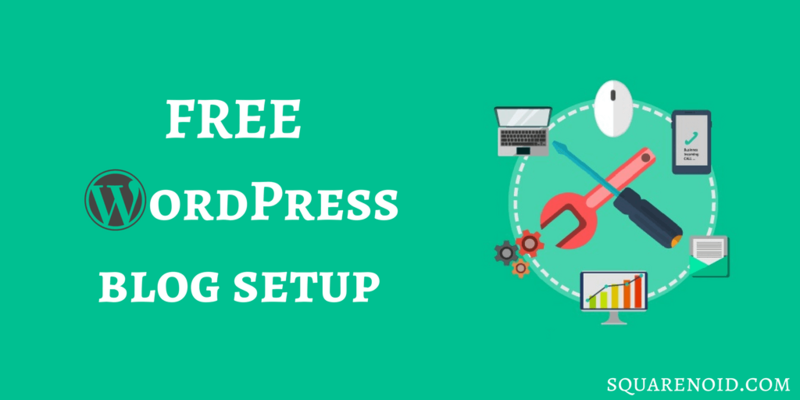 Setting up a WordPress blog configuring, installing themes, plugins and setting all these up can be a little overwhelming and pretty confusing (especially for beginners). When I was a beginner I faced many problems while starting a blog. I still remember when I started my first self-hosted WordPress blog, the blog was not configured properly. I ran into many problems resulting in utilizing time in fixing all those issues. You need knowledge about FTP, setting up nameservers, redirecting, setting up SEO for your blog, installing themes & plugins and all the settings & configuration (and lot’s of research) that those themes and plugins required for functioning perfectly for your blog. 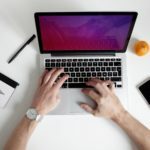 I am providing this service so that you don’t have to face the problems that I faced as a beginner and most of the beginners face while starting a blog. We will set up everything that you will need to start a successful blog. All that for FREE! But all that for FREE? What’s the catch? Yes, you may ask the question that how this service is totally free. To avail this service for free you need to Sign Up for web hosting from one of our partner web hosting company. These web hosting companies are recommended by us and they provide top-notch, premium quality & best web hosting services for WordPress. While purchasing web hosting from the affiliate link provided below we will get a small commission from them at no additional cost to you, in fact, you’ll get at them at a discounted price. This way you will get premium web hosting for your blog at a discounted price (which you were going to pay for anyway). That’s how we are able to provide this service completely FREE. It’s a Win-Win situation for both of us. You will get a free professional WordPress blog, and we will receive a small commission from the web hosting company. You do not need to pay a single penny to us. WordPress Installation: WordPress is the most popular blogging platform. We will install the latest version of WordPress and configure it correctly for optimal performance and functionality. WordPress Theme: We will install and set up a perfect theme for your WordPress website. You can choose from thousands of free or premium themes available in the market. WordPress Plugins: Wordpress plugins can do wonders for your website. We will install some popular and required plugins for your website. SEO: We will make your site SEO friendly and make sure that your blog is fully SEO optimised so that you rank higher in search engines. Blazing fast speed: We will install caching plugins and other speed boosting solutions and we’ll make sure that your blog is blazing fast and loads within seconds. Security: We will install security plugins to make sure that your blog is completely secure and safe from hackers. Social Media Integration: Social media is a big traffic source for your blog post and updates. We will add social share sharing buttons and links to your social pages on your blog. Contact Form: We will add a contact form on your website so that anyone can contact you whenever required and you get the message directly to your inbox. Free Lifetime Support: Even after setting up a new blog we will provide you free lifetime support. Whenever you get stuck anywhere, feel free to contact us anytime, we will be happy to help you. How to avail Free Blog Setup? Follow the below steps to complete your free blog setup, it is a two-step process. Orders will be completed in the queue as they are received. Both domain name and web hosting are required to set up a WordPress blog. Domain name is the address of the blog (for example squarenoid.com) and web hosting is where the files of your website are stored, where your website lives. You will need to have both domain and web hosting to start a blog. Get started now by signing up for any of the web hosting providers provided below using the links on this page. Note: Please proceed signing up by clicking on the links provided on this page and do not use any other coupons. If you use any other coupons or sign up with web host without clicking on the links provided on this page, you will not qualify for our free blog setup service. Simply click on “See Plans & Pricing” and proceed with signing up. InMotion Hosting offers reliable and secure web hosting, started in 2001. It also comes 1-click WordPress install, 24/7 technical support and also a Free Domain Name. They also offer Free data backups & SSDs provides increased performance and reliability so you don’t need to worry about your WordPress website. InMotion Hosting is one of the best WordPress hosting company on this list, it becomes a perfect place to start your first website. After you have completed the above sign up process, submit the form below so that we can start setting up your blog as soon as possible. Yes, I would like to receive helpful Blogging tips from Squarenoid via email. If you already have purchased Web hosting, that’s not a problem at all. We will still be setting up your blog as we do with every new blog. Just fill up the above form with all the required details. In that case, the complete installation and setup charge will come at the price of $100. In how much time will my site be ready? The installation will be done in a matter of few clicks (within few seconds). But configuring the website may take some time. Your site will be ready within 24-48 hours (usually less). In case of any delay, we will let you know. Feel free to contact us anytime, you will get lifetime support from us. We will be happy to help you.